Enjoy our refreshing selection of pure, natural essential oil mint soaps in pure, unadulterated form or blended with other wonderful scents. Our mint soaps are available in all our different recipes and moisture levels: four-vegetable oil recipe, goat milk, shea butter facial soap and shea butter hand repair soap with ground medicinal herbs, and Olive Oil Castile. 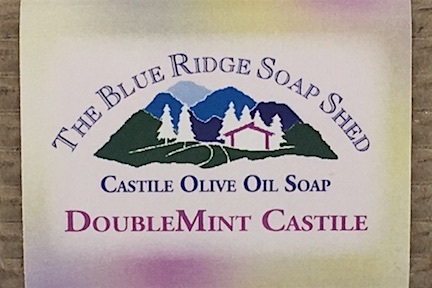 Our natural Double Mint Castile Soap is made from 100% Olive Oil. Select from the following soaps: Peppermint, Spearmint, Bergamot Mint, Doublemint with Spearmint and Peppermint, Spearmint with Lavender, Peppermint with Eucalyptus, Peppermint and Thyme, Peppermint and Vanilla, Peppermint and Rosemary, Peppermint with Lemongrass and Tea Tree, and Peppermint-Lemongrass Oatmeal. Let us know if your favorite mint soap isn't on our list!